An American archeologist and his two children seek God's protection and guidance as they journey to the Near East, in search of a buried biblical treasure which local residents believe is cursed. 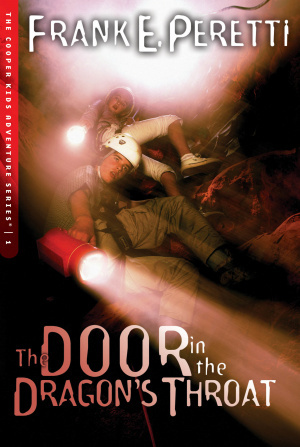 The Door in the Dragon's Throat by Frank E. Peretti was published by Intervarsity Press in July 2004 and is our 14538th best seller. The ISBN for The Door in the Dragon's Throat is 9781581346183. Be the first to review The Door in the Dragon's Throat! Got a question? No problem! Just click here to ask us about The Door in the Dragon's Throat.